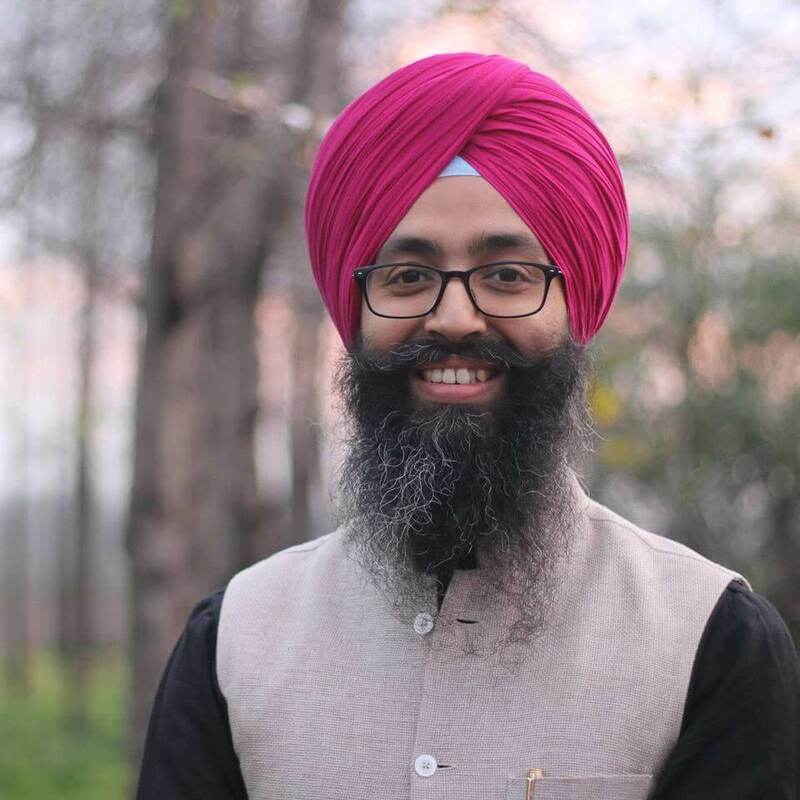 EcoSikh is an environmental organization that engages Sikhs in the environmental issues in Punjab and the world through awareness, action, and advocacy. Spread Guru Nanak’s Message in the World, among Sikhs and non Sikhs. EcoSikh organizes and takes parts in Sikhbased and multifaith environmental action. 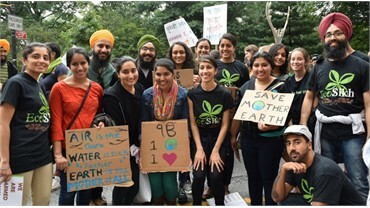 We organized a Sikh group at the 2014 People''''s Climate March in New York City we sang shabats on the National Mall in Washington DC at the 45th anniversary of Earth Day in Washington DC and we organize local sewa projects amongst gurdwaras, youth groups and the sangat. We also join other faith environmental leaders in taking a strong stance for climate action, and share the Sikh perspective with nonSikhs through Guru Nanak''''s words: Pawan Guru Pani Pita Mata Dharat Mahat. 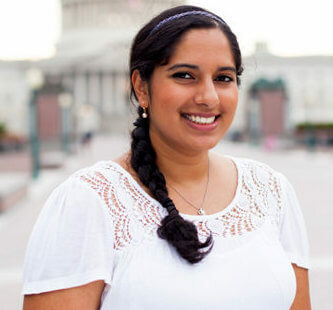 Imagine if there was no EcoSikh – There will be no representation of Sikhs on Climate Change issues, which are being discussed at the White House, the World Bank and the United Nations. We make sure there is a Sikh perspective at national and international discussions. This changes how Sikhs are seen internationally. We have engaged Sikhs from all over the world in six continents and have created a network of Sikh environmental activists! We have three staff members, young professionals, who chose to become the messengers of Guru Nanak and Guru Har Rai and are working with the global Sikh community and especially in Punjab to change the course of direction for out people and for this planet. MARCH 14TH IS SIKH ENVIRONMENT DAY SED: EcoSikh launched SED in 2010. 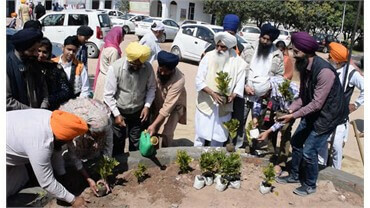 Thousands of Sikhs are celebrating March 14th as Sikh Environment day by marking the Gurgaddi Diwas of Guru Har Rai ji. In 2003, 1500 Sikh gurdwaras, educational institutions, schools and colleges have celebrated SED in a meaningful manner by taking green actions. ADVOCACY ON ENVIRONMENTAL ISSUES: EcoSikh has lobbied the Punjab Government and has worked with the United Nations, The White House, SGPC, Delhi Sikh Gurdwara Management Committee, Hazur Sahib Gurdwara Management Board, Nanded and Waghala Municipal Committee and ICLEI, an international body working for sustainability of cities and hundreds of schools, colleges and institutions all across Punjab and India. PLASTIC AND POLLUTION FREE HOLA MOHALLA CELEBRATIONS AT ANANDPUR SAHIB: EcoSikh urged the Punjab Govt. and city officials on this issue and this led to a strict implementation of ban on plastic bags below 30 microns in size in Punjab. We will continue to press upon on this issue. LOBBYING TO HAVE ANANDPUR SAHIB DECLARED AS A GREEN CITY: As SGPC and the Punjab Government are making plans to celebrate the 350th anniversary of the city founded by Guru Tegh Bahadur ji. 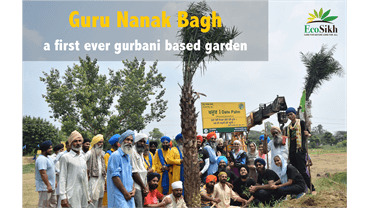 EcoSikh is advocating and it has been widely reported in the media that a special care should be given to preserve the natural beauty of this holy city as seen by the Gurus an Sikhs since the last three hundred years. In addition, we are advocating organize farming and ecotourism to bring sustainable development to the area. AMRITSAR FOUNDATION DAY: This historical day, when Guru Ramdas ji laid the foundation of this spiritual city, was celebrated by EcoSikh with Amritsar civic bodies and religious institutions this year. For the first time, Amritsar, in its 436 years of history, sees citizens caring for the city’s ecology. Hundreds took mass action towards saving water, increasing green cover and also caring for clean air. Various religious, governmental, and social events this day inspired citizens and visitors to care for the city’s dwindling natural resources. NANDED JOINS INTERNATIONAL NETWORK: Nanded and Hazur Sahib join the Green Pilgrimage Network. Nanded, the city where Guru Granth Sahib was given the Gurgaddi, is now on the international map as a Green spot. City and Hazur Sahib is planning a major launch early next year. Godavari, the main river which passes through the city and where all the major historical gurdwaras are situated, has become filled with raw sewage of the city. EcoSikh is working with city officials and international agencies to bring environmental projects to make the city sustainable. GREEN GURDWARAS: Many gurdwaras across the world are now taking meaningful actions to becoming greener in their operations – including changes in lights, water usage, and switching to ecofriendly ways. EcoSikh’s awareness campaign through literature and use of social media is inspiring many to become committed to this cause. There is amazing work happening in the Sikh community everyday. Only through our unwavering commitment to support the change-makers in the Sikh community can such initiatives continue to grow. Please consider making a donation to help this organization EcoSikh.